I am an African and I am proud to call myself an African. Yes, my forefathers came from Europe a couple of hundred years ago, but my father, grand father, great grand father and before him was born in Africa. As was I. Does it mean that the fact that I am white means I'm not an African? I beg to differ from anybody who would so say so. I am a white African. A proud African. One with a passion for Africa and particularly South Africa. On 8 May 1996, Thabo Mbeki, who was the then vice president of South Africa under the presidency of Nelson Mandela, did a speech called I am an African on the occasion of the passing of the new Constitution of South Africa. Its a speech that talks to me and my being. South Africa Tourism did a promotional video for the country a little while back and used the speech as base for it. Now it speaks to me even more. 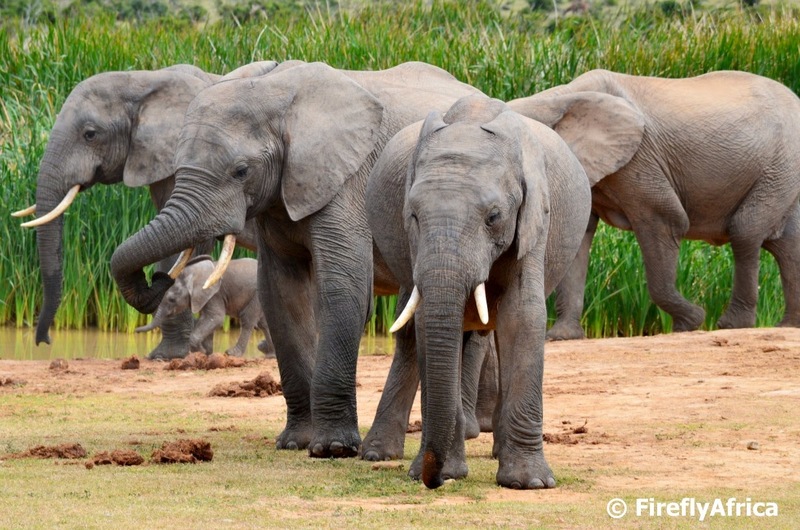 Addo Elephant National Park boats with over 450 different bird species making it not just great for elephant and game watching, but also bird watching. I'm not always too bothered with trying to photograph birds with my superzoom as it isn't really fast enough to take proper pictures of them, but on my last visit I had a borrowed SLR with a long lens and snapped away at anything that moved. One of those was this Malachite Sunbird. The adult male is metallic green when breeding, with blackish-green wings. In non-breeding plumage, the male's upperparts are brown apart from the green wings and tail, the latter retaining the elongated feathers. The female has brown upperparts and dull yellow underparts with some indistinct streaking on the breast. 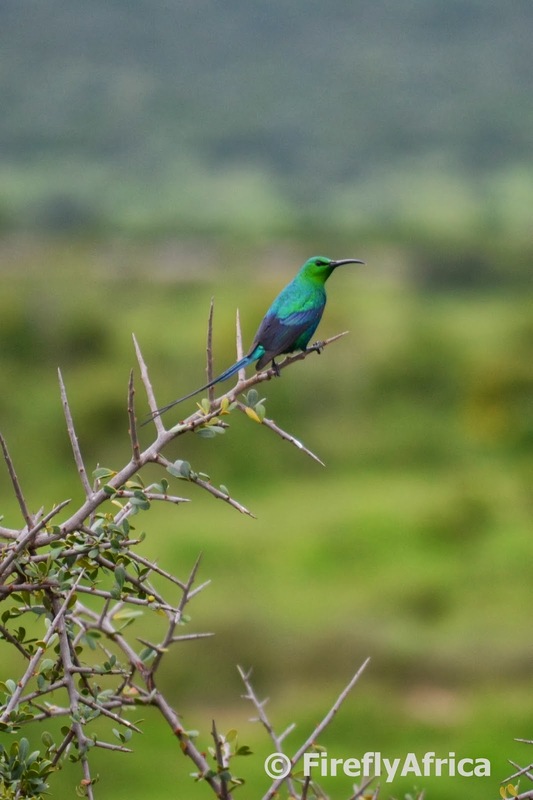 The Malachite Sunbird is found in South Africa in hilly fynbos (including protea stands as well as areas with aloes) and cool montane and coastal scrub, up to 2,800m altitude. Somewhere in primary school all South African kids learn about the Cape Fold Mountains but one never really understands it until actually seeing it in person. The Cape Fold Mountains are found along South Africa's south coast from Cape Town to the Port Elizabeth area. The actual folds are seen in many places where you find valley and gorges through the mountains, usually while driving a pass somewhere. 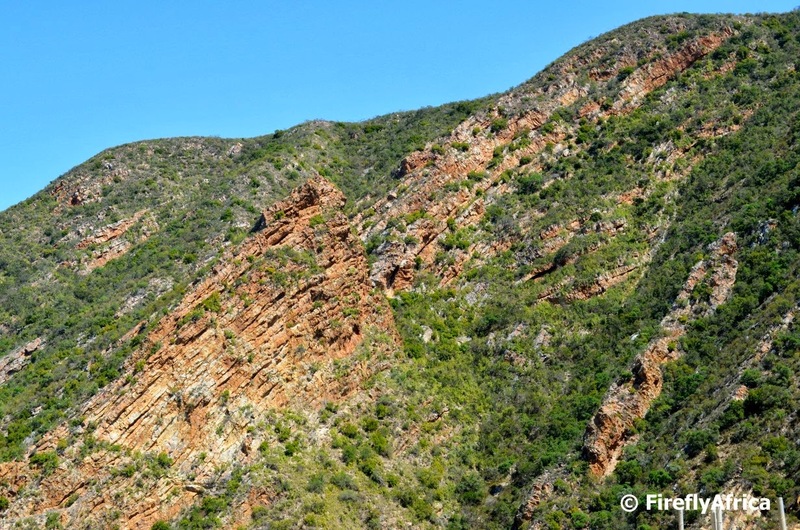 About 450 million years ago the rocks found in the Cape Fold Mountains were laid down as sediments in a coastal delta. During the period 280-235 million years ago when the continents collided to form the super continent of Pangea, these layers of rock was forced upwards. Over time the previous mountains eroded, leaving the very tough and weather resistant sandstones that make up the Cape Fold Mountains. The part that always amaze visitors (and locals) are the fact that the layers of rock that one would expect to be horizontal is actually going upwards. This particular picture was taken at the Kouga Dam in the Gamtoos Valley. South Africa's national flower is the King Protea. The King Protea (Protea cynaroides) is the biggest flowering protea specie and forms part of the Cape Floral Kingdom (Fynbos). Protea cynaroides is a species of protea in the huge family Proteaceae which comprises about 80 genera with about 1600 species. The name of the plant family Proteaceae as well as the genus Protea, both to which Protea cynaroides belongs to, derive from the name of the Greek god Proteus, a deity that was able to change between many forms. This is an appropriate image, seeing as both the family and the genus are known for their astonishing variety and diversity of flowers and leaves. 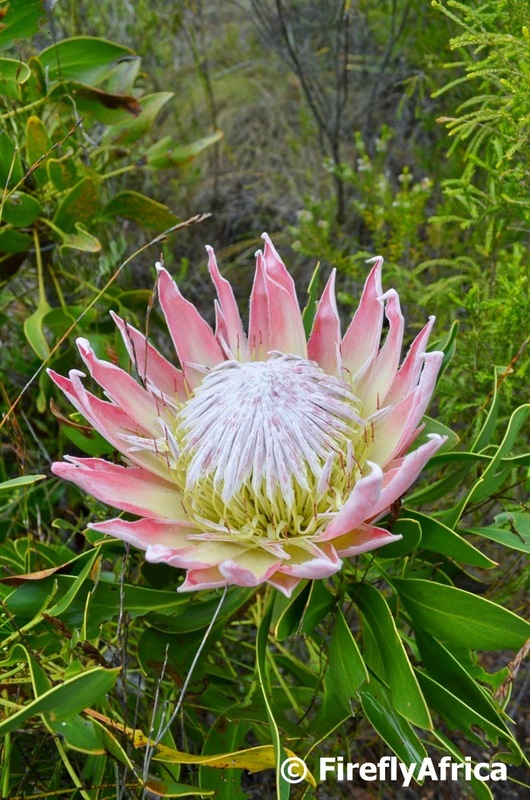 The King Protea grows in a harsh environment with dry, hot summers and wet, cold winters. Several adaptions include tough, leathery leaves, which helps to prevent excessive loss of moisture, and a large taproot which penetrates deep into the soil to reach underground moisture. Like many other proteas the King Protea is adapted to an environment in which bushfires are essential for reproduction and regeneration. The King Protea is also the symbol of South Africa's national cricket team. Sunday afternoons is family time and most families choose to relax. Some spend it at home, others on the beach, some go for a Sunday afternoon drive, some go Geocaching (yes, that's us) and so I can go on. 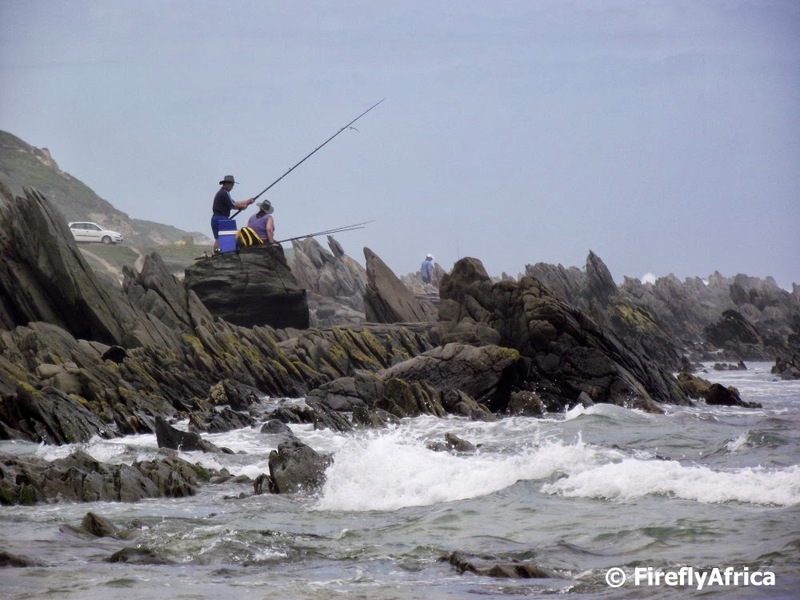 This couple spent it fishing from the rocks at Maitland west of Port Elizabeth, . Leaving the office the other day I noticed a yellow spider sitting on a plant close to the door. Don't ask me how I spotted him, I just did. 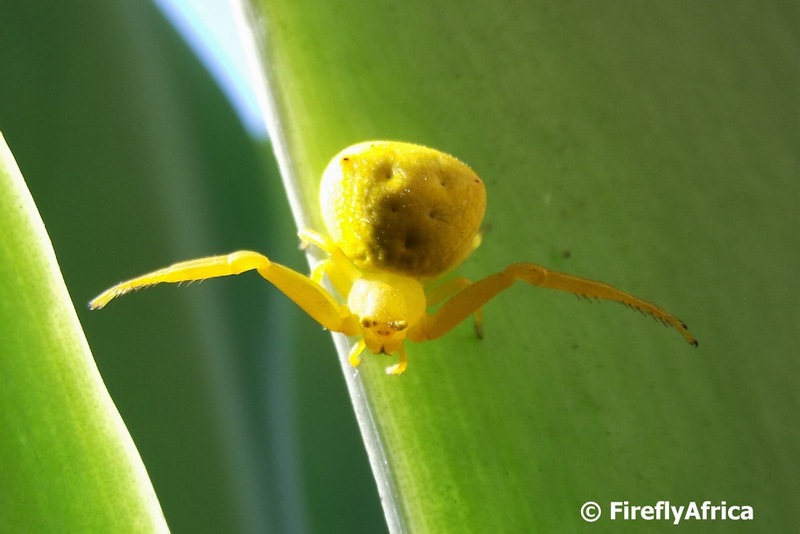 Turns out it was a Yellow Flower (or Crab) Spider. They are of the family Misumena and can either be yellow or white depending on the flower they are hunting on. During early summer young males can be quite small and easily overlooked, but females grow up to 10 mm (excluding legs) with males reach 5 mm at most. At the time I assumed the object on this picture was an egg sack and I have a feeling I may be right. Older females require large amounts of relatively large prey to produce the best possible clutch of eggs. 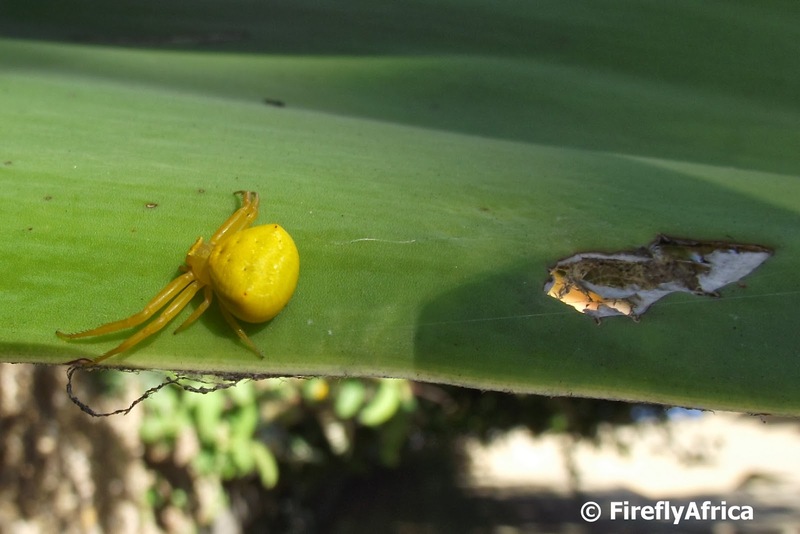 Generally it is often very hard even for a searching human to recognize one of these spiders on a yellow flower so an insect wanting to land on a flower occupied by one of these better make sure his will is in order. I've been in the tourism industry for 16 years and first started out working as a tourist guide back in 1998. Back then I used to go to Addo Elephant National Park sometimes as often as 5 or 6 times a week and people used to ask if I didn't get tired of going there. I did get tired of the drive to and from the park but I would never get tired of the park itself. It quickly became one of my favorite places to take tourists and I enjoyed ever new day as much as the one before, getting as excited as my guests when we encountered elephants or other game. These days I don't get to visit the park anywhere close to what I would like to, but when I do I make the most of it. I often think people who have never been to Addo don't realise how special the park really is and those comparing it to Kruger does it a great injustice. No it's not Kruger but it offers magnificent sightings, amongst it the best wild African elephant sightings in the world. Tourist guides like my friend Craig Duffield of Mosiac Tourism calls Addo his office. I often wish I still did. Boys will be boys and when it comes to boys and their 4x4 toys there is no stopping them. When the South African government banned driving on beaches both the angling and 4x4 fraternities took a big knock. 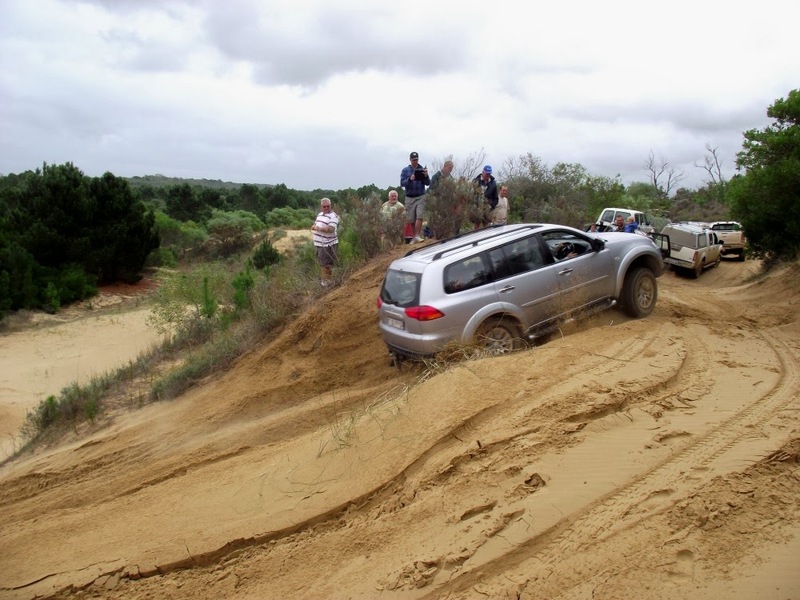 The anglers couldn't go as far along the beaches as they used to or had to find overland shortcuts while the 4x4 okes had to stick to mountain trails and off road paths. 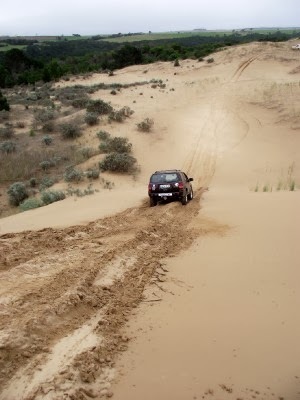 There is one place I know of where the boys can test their toys and sand driving skills though. Brakkeduine close to Oyster Bay (and St Francis Bay) in the Eastern Cape. Brakkeduine offers a beautiful grassed campsite on the banks of a dam with a long slippery slide and zipline into the water. 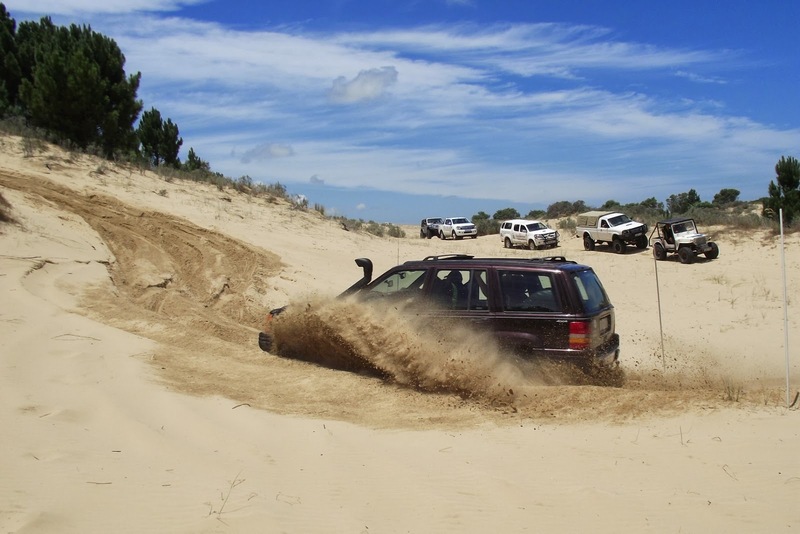 But it's the natural inland dune field that attracts 4x4 enthusiasts to Brakkeduine. 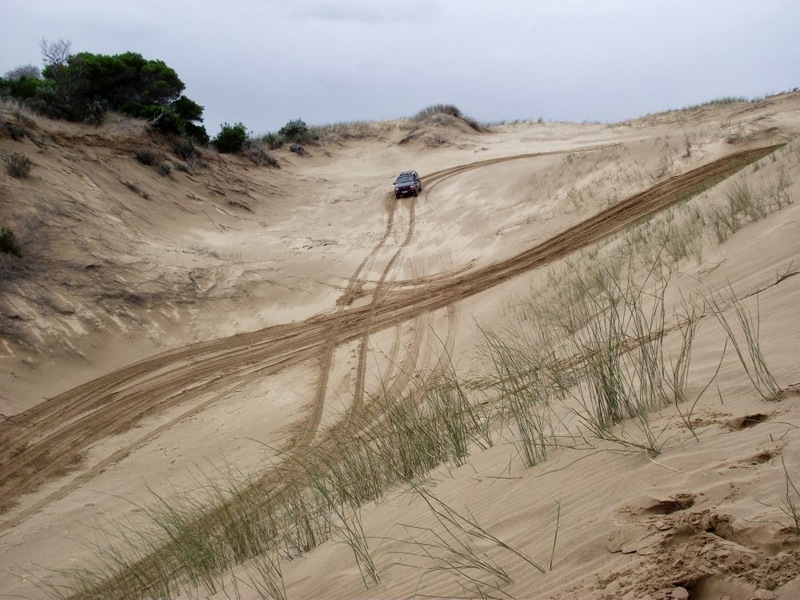 They offer guided trips following a set route with drivers given the opportunity to test their skills going up and down the dunes either on the straight or around turns, pushing their vehicles to the max. 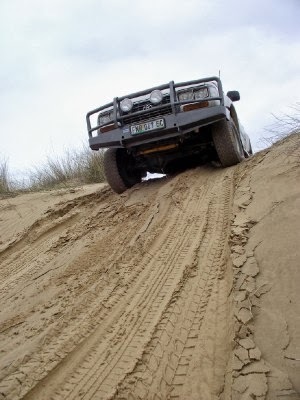 The trips are led by experienced 4x4 drivers who know the dunes like the back of their hands and will show the way to approach each "obstacle" first before the others attempt it. 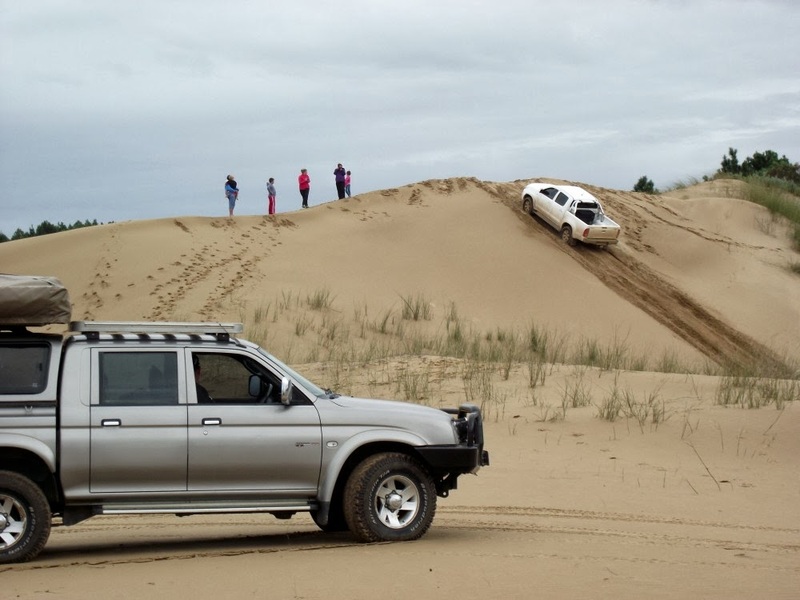 They come prepared to assist if anything happens, anything being a wheel popping off the rim or getting stuck on top of the dune like the one on the picture above. 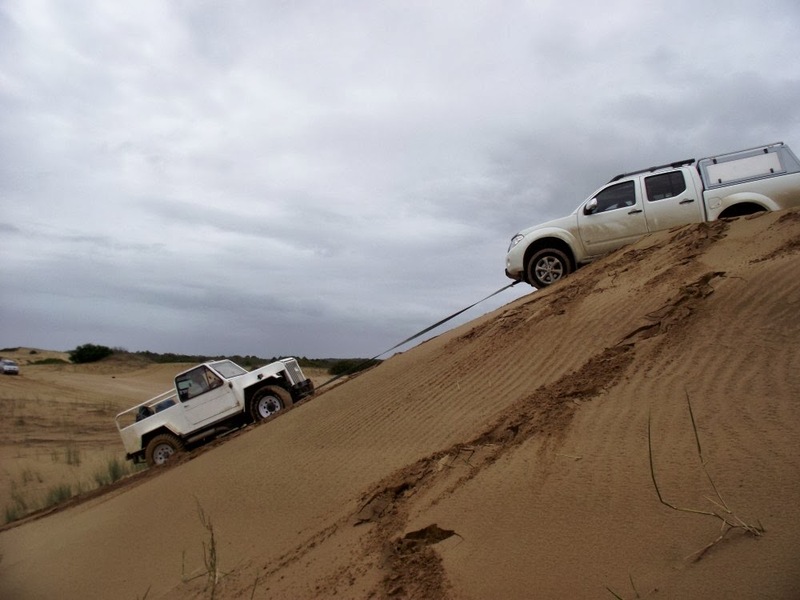 I'm not a huge 4x4 enthusiast and don't own a 4x4, but we have camped at Brakkeduin on two occasions and both times I tagged along on a trip into the dunes. I may not have had a chance to drive the route, but I had lots of fun taking photographs of it. As the whole group stops at each obstacle it gives the drivers and passengers the opportunity to get out and watch the other vehicles. The amount of jokes and chirps heard on the trip is amazing as they guys gun each other when they fail an attempt. The very last stop is at the Rollercoaster where the drivers get a chance to really play on a slightly longer route than the previous obstacles. If you are into 4x4'ing then Brakkeduine is an experience that you just can't afford to miss. Specifically because of the opportunity to drive on dunes. The Karoo is a hauntingly beautiful place. A lot of people may find it boring but most see a beauty that is often described differently by every person. Wide open spaces with blue skies above, a couple of sheep grazing on the sparse green grass around a wind pump filled cement dam, late winter aloes in bloom with a Karoo koppie in the background, farm workers' children playing in the dust close to a flat roof worker's house, somebody walking down a dirt road in the middle of nowhere and so I can go on. 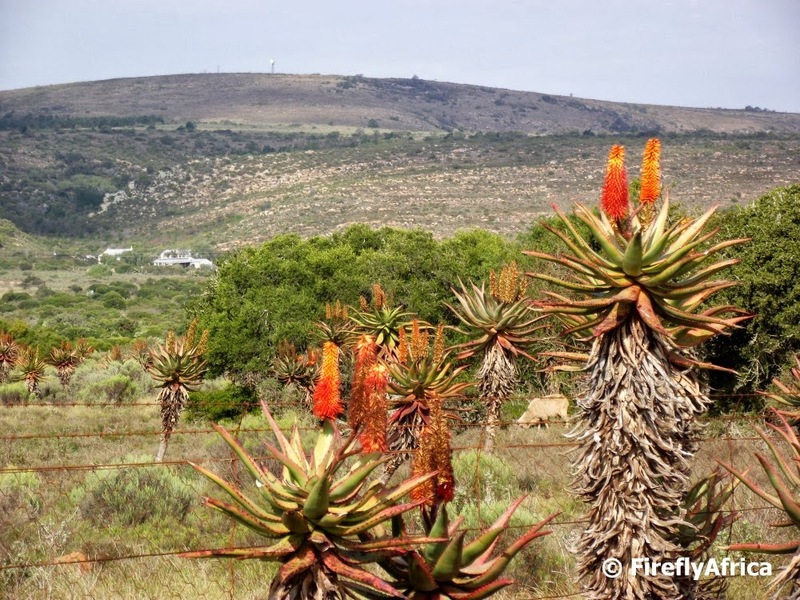 The scene in the picture was taken in the Karoo just north of the Zuurberg Pass. In the background is the 150 year old Ann's Villa.